So you're the best in your division, but how do you match up against other teams from the Birmingham area? Teams compete in 12-16 week sessions to see who finishes in the top of their division. At the end of each session, our top teams in each division then compete in their Division Playoffs. These playoffs are played in a Single-Elimination format and the winners advance to our Session Tri-Cups, or Regional Playoffs, for that session. 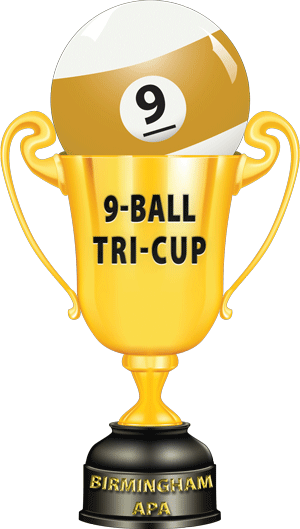 Our Session Tri-Cups are played in the same Single-Elimination format and are usually usually held on the 3rd Saturday of the FIRST full month of the following session. The winning teams of these Session Tri-Cups advance to our annual APA World Qualifiers, which are held the first two weekends each June. 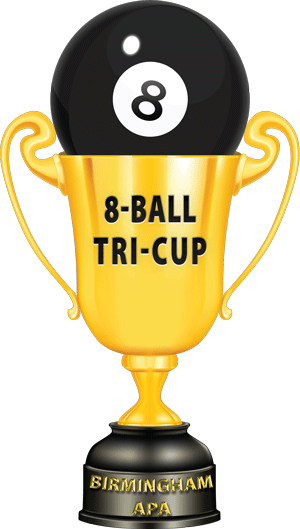 To learn the eligibility requirements for our Session Tri-Cups, check out our our local Bylaws which can be found by clicking on the "RULES/BYLAWS" link in the top menu of this page. Below are important links which will contain info on our next Session Tri-Cups. 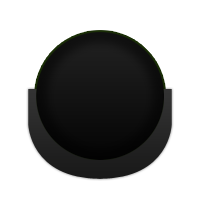 The following links will be updated at the end of each session to reflect which teams are qualified and which players are eligible for their Session Tri-Cups. Please note that some links may be in-active, until updated for the current session, or they may still have previous Session Tri-Cup info still attached. All links will be updated by 6:00 pm on the Tuesday before that Session Tri-Cups. Important information about our upcoming Session Tri-Cups. These teams advanced to their Session Tri-Cups. Players shown in italics and marked with an "I" are ineligible to participate. ~ Our Session Tri-Cups will usually be held on one day if time allows. ~ Dates/Times will be posted on our website calendar when available. ~ Our Session Tri-Cups will be played on Single-Elimination brackets. ~ # of teams competing will be determined at the end of each session. - One team slot in our next APA World Qualifier. - Tri-Cup Champion Medals for all eligible team members. then that info is unavailable or it is in the process of being updated.